BANGKOK—Mahajak Development recently installed a building-wide multi-zone audio system by HARMAN Professional Solutions at 137 Pillars Suites and Residences Bangkok. 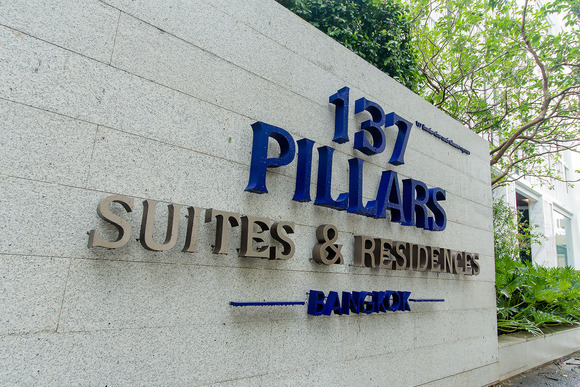 Opened in April 2017, 137 Pillars Suites and Residences Bangkok is a luxurious hotel and apartment building located in the popular Thonglor district of Bangkok. In addition to 179 residences and 34 suites, the building features a wide selection of modern restaurants, bistros and pubs. In order to provide an elegant audio experience for residents and guests alike, 137 Pillars hired Mahajak Development to install a building-wide fiber optic multi-zone sound system that could be easily controlled from one central facility. After careful consideration, Mahajak selected an end-to-end HARMAN networked audio solution for its premium sound quality, intuitive operation and unmatched reliability. A BSS Soundweb London BLU-100 signal processor serves as the centerpiece of the system, seamlessly handling the complex routing over fiber optic connections throughout the building. A Soundweb London BLU-BOB1 break-out box offers eight additional analog outputs. HARMAN HiQnet London Architect software enables intuitive control over the source selection and volume level in each zone from any WiFi-enabled device. Mahajak deployed a wide range of JBL speakers to ensure premium sound quality and coverage throughout the building. JBL 8100 Series, Control 40 Series and Control Contractor Series speakers are installed in the ceilings, delivering high fidelity and discrete coverage. The entire system is powered by Crown DriveCore Install Series amplifiers, and mixing functions are handled by JBL CSMA Series mixer/amplifiers.